We think buildings can be wonderful things. Given how much of our lives we all spend inside or looking at them, we want to make them as wonderful as possible. We take great care and delight in materials and details; they are the elements through which people most directly relate to their surroundings, but we also work knowing that sometimes space itself is the ultimate luxury. De Natris Skurrie is a Melbourne based design studio founded in 2017 by architects Tim De Natris and Chloe Skurrie. From the onset the studio has focused on delivering projects that encompasses and blurs the lines between architecture, interiors, furniture and landscape. The team at De Natris Skurrie bring a collaborative approach to design and a keen focus on the user to ensure that the end result is discerning, functional and yours. With a focus on residential projects, our dedication to design detail will craft a strong aesthetic that is both elegant and enduring. The Japanese language uses the word “MA” to describe what could be roughly translated as negative space in English. It is a concept which gives equal importance to physical form and the substance of space which exists between form. Put simply, when designing buildings we are not only creating walls and a roof, instead it is the space in and around those walls which is of even greater value. It is that awareness of space, that Megowan – Architectural brings to each individual project. From the seemingly mundane, such as the interval of time it takes to obtain entitlements, to the sublime, such as orienting a wall to be awash with morning sun, M – A brings a holistic understanding of successfully and skilfully delivering projects. We are a talented team of Architects that are united by a desire for excellence. M – A is less about a singular style, instead we are committed to the specifics of each project and to creating timeless spaces, thus explaining our expanding and diverse portfolio. Each project brings its own complexities and parameters which we carefully respond to by understanding our clients and how they want to interact with their spaces and in turn how their spaces will interact with them. 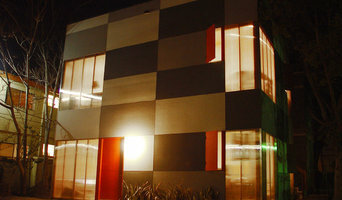 M – A brings to the table expertise in Architecture, planning, interior design and development. Whether the goals of a project are practical, emotional, financial or all three we will work with you to create a well-balanced outcome which maximises your resources. Luckily for us, our hard work and passion for space has been rewarded with a growing base of loyal clients, multiple design awards at state and national levels and wide publication both online and in print. All this and we’re just getting started. 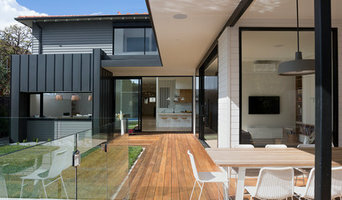 Steve Domoney Architecture Established in 1996 and based in Melbourne Australia, Steve Domoney Architecture continues to build on an ever growing diverse body of work, and expanding client base. Projects range from small residential renovations to new homes, medium density housing, commercial/retail and resort master planning. Embodying the latest technological developments and environmental responsive design, the completed body of works represent a collective passion and drive to produce buildings and settings that positively reflect and celebrate our time. With a skill base covering the key areas of design, documentation, and project administration, offering a range of services extending through architecture, interior design, landscape structure and furniture design. The practice comprises a group of highly motivated and enthusiastic design orientated individuals, committed to producing creative work of the highest standard, meeting client requirements within budgetary expectations. Steve Domoney Architecture prides itself on personalised service and close working relationships with its clients. We welcome any queries you may have relating to our work or the services we offer. We are C.Kairouz Architects. Founded in 2010, Director Chahid Kairouz started the practice based on his extensive experience in design, building and development. The practice offers a high level of director input throughout the design, documentation and delivery phases. Since then, our boutique practice has grown rapidly, employing over 35 staff with local and international backgrounds, implementing design solutions across metropolitan Melbourne as well as interstate. Our team designs to ensure quality, detail and creativity. We understand what is most important valuable to our clients, and our approach demonstrates and attitude of excellence throughout the entire process; from concept through to the finished project. We thrive on challenging projects. We dispel assumptions and limitations to allow for the best possible creation, because challenging projects yield the biggest rewards. Rosstang Architects has successfully completed more than 70 residential projects over the last 15 years. 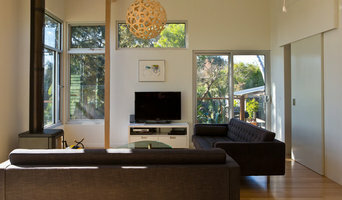 We specialise in residential architecture and interiors in the inner east, bayside, country and coastal. We thrive on a range of projects from small, bespoke renovations to inspirational custom built residences, and great relationships with our clients. Sara Tonini, Rene Nguyen & Taeler Jordan creating special little handcrafted architecture.